If mold is in your attic, simply removing it is not enough. It is just as important to identify the true cause of the mold formation in the first place. Addressing the underlying cause ensures mold does not return in the coming days, weeks and months. In plenty of cases, mold is the result of a pre-existing roof issue. If there is significant mold under a portion of your roof, that segment can be replaced. In general, mold issues stem from a moisture problem. There must be moisture in order for mold to exist. Mold tends to form in the attic mainly because of moisture yet there are additional reasons. 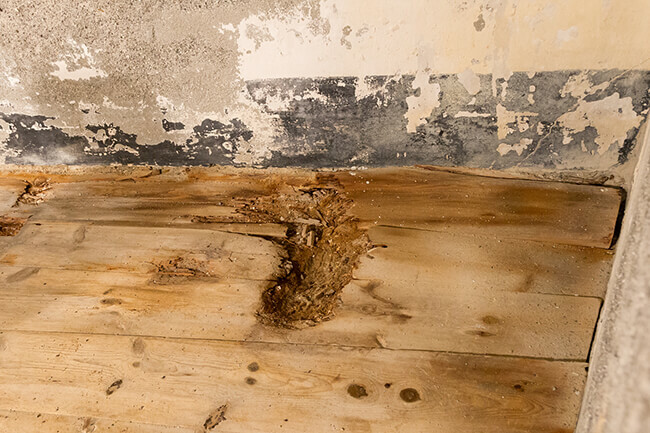 If you suspect mold is in this portion of your home, it is imperative you identify the cause of the moisture or water issue and have it remedied sooner rather than later. Otherwise, the mold will come right back as soon as the moisture returns. This will also occur if the mold is thoroughly removed. What matters is the attic’s moisture issue is remedied. Anything from faulty venting from pipes to improper ventilation or roof leaks can lead to the growth of mold in the attic. Roof leaks can be identified by discolored wood and/or insulation. Anything from the fascia boards to joists, rafters and sheathing has the potential to be discolored if there is a roof leak. You should also check the areas where the roof connects at an angle. This is the roof valley. Such areas are inclined to leak. If there is a vapor barrier, take a close look for condensation. Though this is not a roof leak, it is a sign there is a moisture issue. Moisture breaches will inevitably lead to mold. Finally, the plumbing stacks, chimney, skylight, attic window and flashing should be checked to determine if moisture is present. Bathrooms, kitchens and dryers have exhaust fans that are meant to transmit moisture away from the home or business. It is imperative these fans send the moisture out of your living or working space as opposed to the attic. There is the potential for the attic’s plumbing stacks to create condensation that allows mold to form. Furthermore, such stacks can generate hazardous gases. If they terminate in your attic, the results will be disastrous. Those who have vapor barriers like polyethylene plastic and have vents positioned by the roof will require a single square foot of ventilation for every 300 square feet of floor space in the attic. If there is no vapor barrier in place, a single square foot for each 150-floor square feet will suffice. Keep in mind air moves up the attic so if the ventilation is poor, moisture will be trapped within this upper portion of your home and cause mold issues. So don’t cover your vents with insulation. Such a mistake will cause excessive moisture to build up and lead to mold growth throughout the attic. If you have mold in your home, do not assume it is just the way it goes. It is possible to eliminate the cause of mold in your attic and other portions of your home. The key is to pinpoint the location and cause of mold and take care of it in a timely manner. 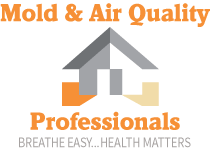 If you’re concerned about possible mold in your home, call the home remediation experts at Mold & Air Quality Professionals today. We can come out and evaluate your home and provide possible solutions to combat the problem areas in your home.